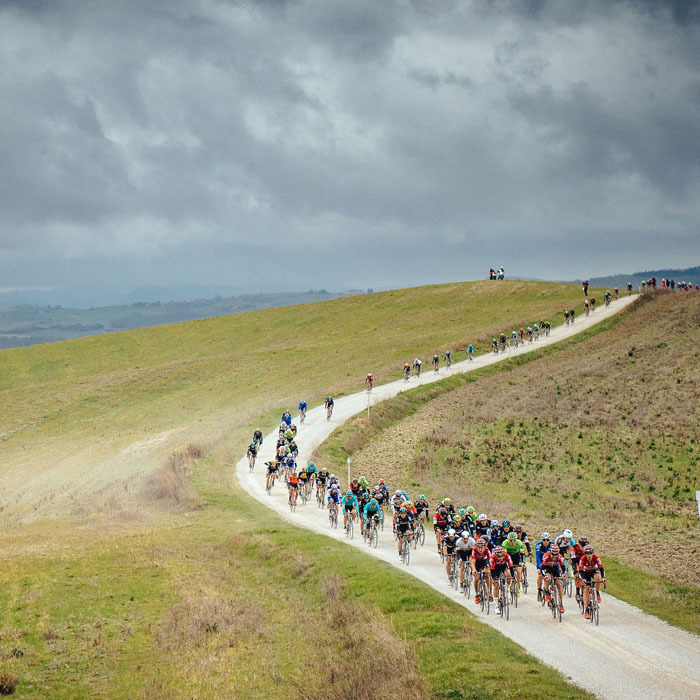 The Strade Bianche just finished its eleventh edition. The fact that I’m even talking about it is miraculous when you consider how little things change in the pantheon of the great cycling races. It is because this race is so fantastic that it has become such an important race so quickly. The honor role at the race is nothing to shrug at: Fabian Cancellara leads the way with three wins, Michal Kwiatkowski follows with two wins, then there are the one-time winners like Philippe Gilbert and Zdenek Stybar right behind. One name that isn’t on there yet, but will certainly make it at some point after a string of near misses: Peter Sagan. 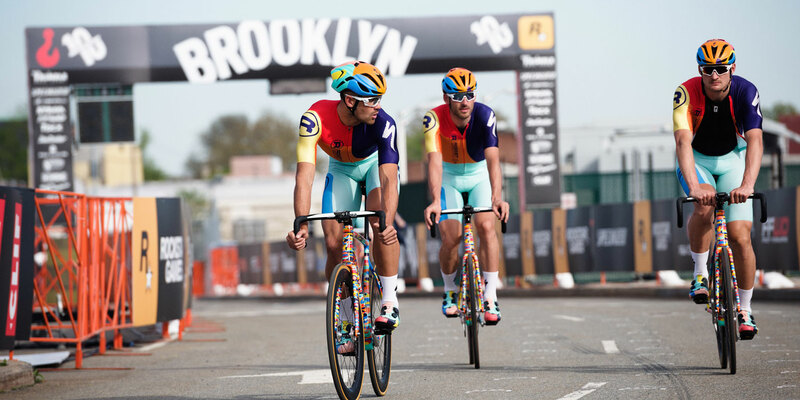 The routes of races like the Ronde van Vlaanderen and Paris-Roubaix and Milano-Sanremo are amazing. They’re steeped in history, and they’re wonderful. However, they do not constitute what I would call much more than special occasion rides. The cobbles are great, but they’re not an everyday thing for most. When you get off the bike, you’re in Northern France or Flanders. I’m a huge fan of Flanders, but even my love for Flanders takes a backseat to Tuscany. Let’s be honest here - nothing holds a candle to the Strade Bianche’s start and finish city of Siena. Siena is a treasure. It’s a labyrinth of tiny lanes emanating outward from the one of Europe’s great centers, the Piazza del Campo. If Siena isn’t enough for you, you’re just over an hour from Florence, and then countless of other small hilltop villages sprinkled throughout Tuscany. It’s a cornucopia of great. And if that isn’t enough, there’s the food. And the wine. I’ll just leave it at that. 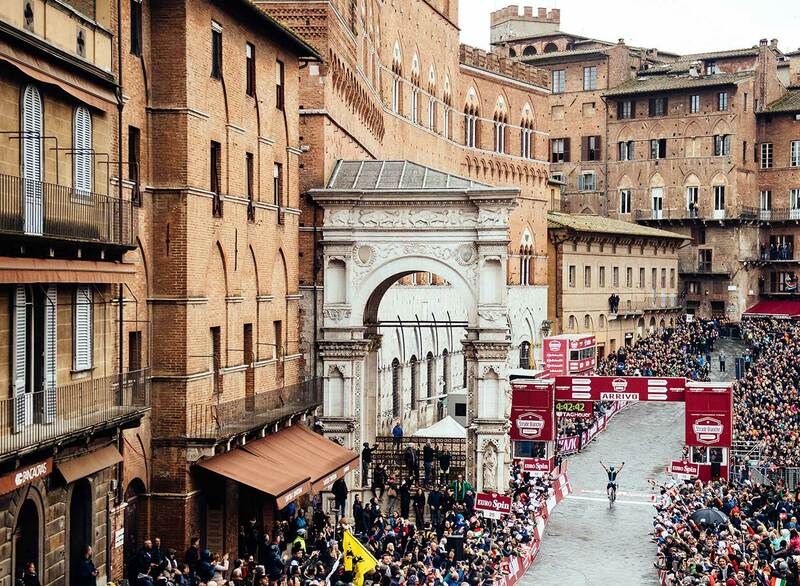 Siena is a great city — and the finish of the Strade Bianche is like no other. Sure, there are other more famous, more legendary finishes: take the Roubaix velodrome for example, or the Champs Elysees in Paris. Disregarding history and going purely for a finish that both yields amazing racing and jaw-dropping views - Siena wins. Riders approach Siena via first a normal road, then they pass through an ancient town gate, then the road turns to giant flat paving stones, then it pitches up at a maddening angle on the Via Santa Caterina. It’s on these slopes where the race reaches its climax. The climb maxes out at over 15% with fans packed just a few feet away up the length of the climb. The riders make a hard right at the top, and then it’s a mad dash through narrow streets before the race opens up one final time in the Piazza del Campo, it’s extraordinary. Before these final fireworks, riders are given the gift of Tuscany’s finest for over 100 miles. Every race has its thing - for the Northern Classics, it’s often cobbles or wind or both. For the Strade Bianche — it’s white roads — and often wind as well. These roads are protected in Tuscany, and these roads in particular were made famous by L’Eroica. The vast portion of them are strung out through a notable area called the Crete Senesi, which consists of expansively open, never-ending rolling hills and roads that wind their way through - up, down, constantly changing, demanding everything of the riders: both to power themselves up the difficult climbs, but also for them to stay upright and attached to the group on the wild descents and turns. The route is beautiful from start to finish, and it gets harder as the riders make their way back to Siena. The final two hours are some of the most difficult of the season with tough, decisive climbs, equally challenging downhills, and nary a moment to take a breath. It’s a rollercoaster of pain for the rider - and a rollercoaster of amazing for the fan. In anything but short — this is a race to love. 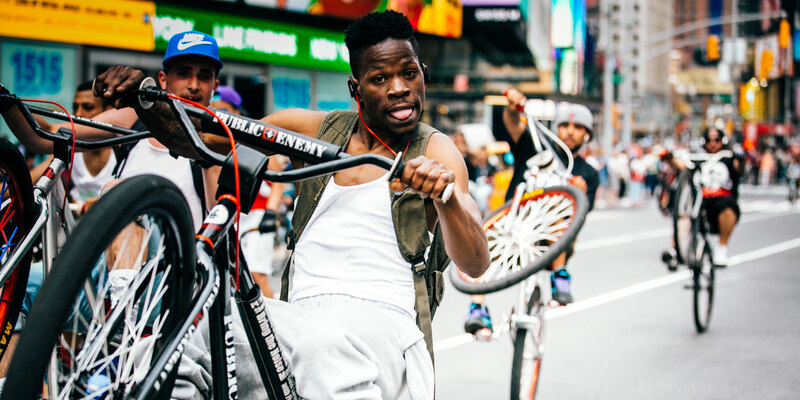 It’s a route worth riding. It’s an area worth spending some time in.